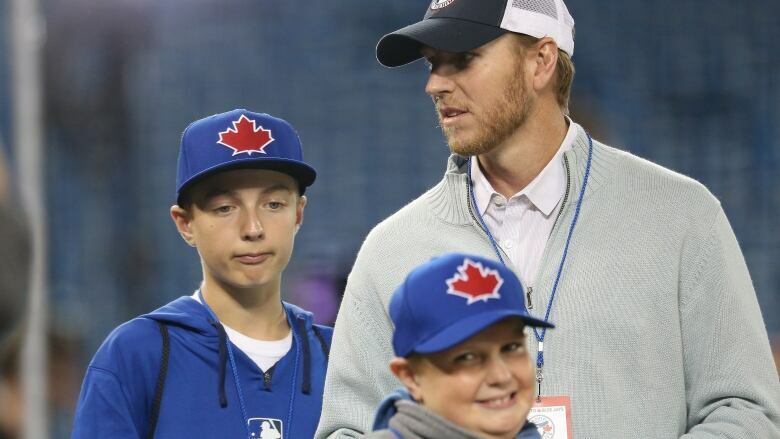 Braden Halladay, the son of former Toronto Blue Jays star pitcher Roy Halladay, is among the 33 players invited to Baseball Canada's spring training camp for its under-18 team. Braden Halladay, the son of the late Toronto Blue Jays star pitcher Roy Halladay, is among the 33 players invited to Baseball Canada's spring training camp for its under-18 team. Roy Halladay was a two-time Cy Young Award winner that spent 12 of his 16 major-league seasons with the Blue Jays. He died in November when the plane he was piloting crashed off the coast of the Gulf of Mexico. Braden Halladay, a right-handed pitcher like his father, was born in Toronto in 2000 while Roy was with the Blue Jays. He recently committed to pitch for Penn State University. The under-18 team will be based in St. Petersburg, Fla., and its camp will include games against minor-league prospects from the Baltimore, Detroit, Philadelphia, Tampa and Toronto organizations.